The main consideration in creating good looking home backdrop and interior design is the ultimate quality and shape offered by the wicker and rattan furniture to homeowners. How rattan and wicker furniture presents the ambiance by encompassing all the design elements and what distinctive traits it has to offer is only small slice of complex design challenges in creating alluring home decoration. Therefore, it is nothing surprising if our wooden furniture can be something useful, besides it is also presenting a dramatic contrast to your home’s entire surrounding. 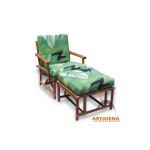 Take your time to see our rattan and wicker furniture collections and take advantages from their affordable prices.